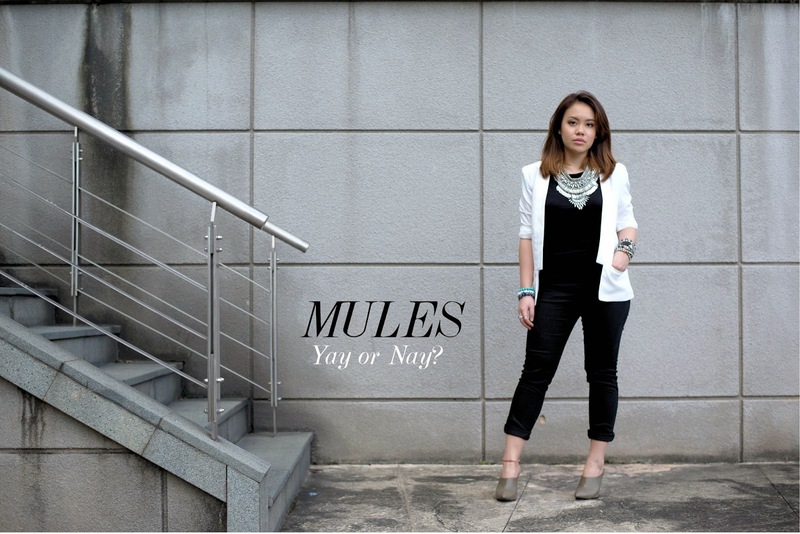 So as I had promised before (see original post HERE), these are some pictures of me in mules. This is one of the two that I bought from Zara recently. I'm so glad I got them. Although they could potentially look a bit hoof-y (like an animal's hoof, get it? ), they are SO comfortable, almost like wearing flats. And the leather on the top is one of the softest I've ever had a chance to lay my hands on, on a shoe. The funny thing is, when I saw these mules, I had initially put them on to make fun of them. But when I slipped my feet into them, what changed my mind was the level of comfort these babies gave me. 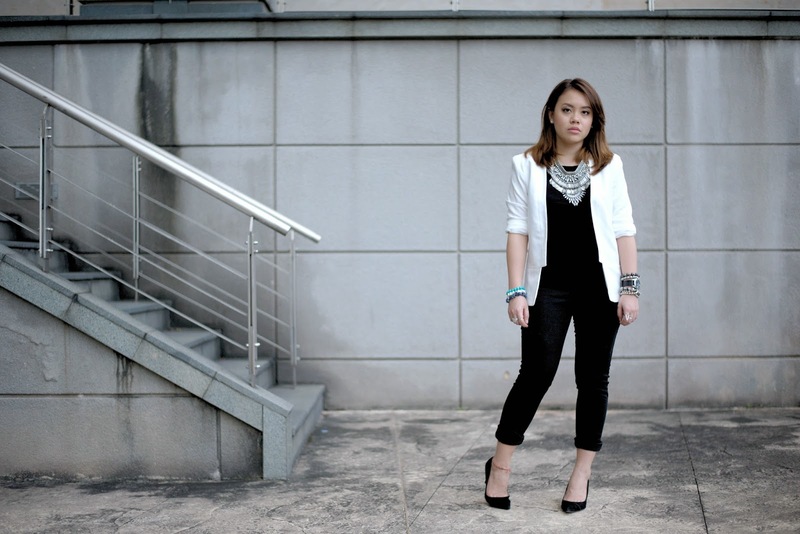 Anyway, I had photos taken of the same outfit, but in different shoes. 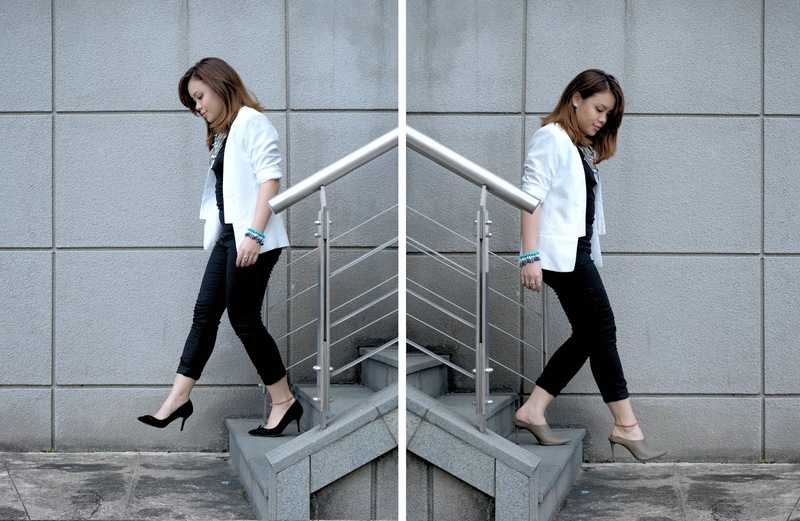 One with my favourite black pumps, which happen to also come form Zara, and the other with this olive green mule. I have a stinking feeling response is going to come back saying I should throw my mules out the window. What say you? The pictures look a little strange. It was going to rain and I was feeling really tired and unwell. Plus I spotted a really cool backdrop of a painted wall, but got shooed away by the security guard. Was a bit pissy since then. I love your stacked accessories!